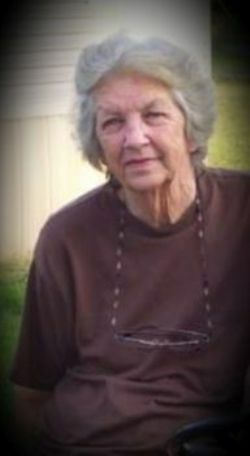 Joyce Nast, 81, of Batesville died Monday, February 11, 2019. She was born Thursday, January 20, 1938 in Charlotte, Arkansas to Curtis and Rachel (Staufer) Gilbert. Joyce loved her family very much, and loved watching her grandkids play ball. She was very talented and creative and loved to make crafts and working in her garden. Joyce co-owned and operated Nast Exxon for several years with her husband Robert. She is survived by one son, Robert Lynn Nast (Darlene) of Newport; one daughter, Charlotte Melton (Clifford) of Batesville; one brother, Billy D. Estes of Batesville; seven grandchildren, and twenty great-grandchildren. Joyce is preceded in death by her parents and her husband, Robert G. Nast. A memorial service will be held Friday, February 15, 2019 at the Roller-Crouch Chapel at 2:00 p.m., with Bro. Rick Womack officiating. A private burial will be held at Lee's Chapel Cemetery. In lieu of flowers, please make donations to Lee's Chapel Cemetery.